The seemingly endless legal dispute between Apple and Qualcomm has taken another turn, with both companies claiming victories in court. The disputes form part of a wide-ranging row between the two companies being played out in courtrooms around the world. 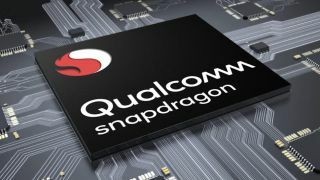 Qualcomm has frequently claimed Apple has violated its patents, while Apple says the Snapdragon chipmaker is abusing its dominant position in the market and charging extortionate fees. This latest leg saw Qualcomm seek an import ban on iPhone 7, 8 and X models that use Intel chips which are alleged to infringe Qualcomm’s patents. Given that iPhones state “Designed by Apple in California, Assembled in China” on the back, an import ban would severely restrict the supply of the devices in the company’s home market. Two separate cases were heard by the US International Trade Commission (ITC), whose verdicts were split between the two parties. In one case, an ITC judge ruled in favour of Qualcomm and made a non-binding recommendation for an import ban on infringing iPhone models. However, in another, final decision, the full ITC rejected calls for a ban and ruled in favour of Apple. The result is that very little has changed ahead of a major ruling expected next month. The Federal Trade Commission has accused Qualcomm of abusing its dominant position and charging high licensing fees. Late last year, Qualcomm secured sales bans on some iPhones in China and Germany. However, the Chinese ban was never enforced, while Apple circumvented the ruling in Germany by ensuring all phones sold in the country were powered by Qualcomm chips.